Upside Down is a coffee-fueled arts and events space in Westwood Village. It’s a place to connect with friends and meet new ones. Owned and operated by Jews for Jesus, it’s designed to be a resource for the neighborhood that is open to all. Come visit us! A great cup of coffee (or tea) is a gateway to new possibilities. 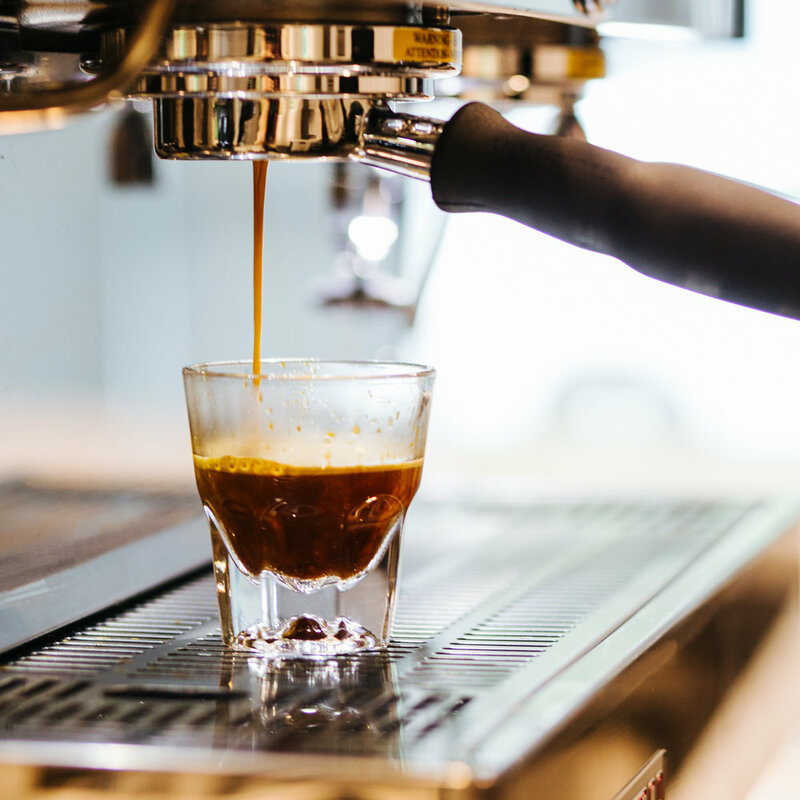 We’re a full service coffee bar offering specialty coffees, teas, and pastries. We partnered with Golden State roasters to build a meticulously crafted menu of exceptional beverages. Our baristas take coffee very seriously, but we don’t take ourselves too seriously, and we’re happy to provide you with the best possible cafe experience. All of these things are meant to provide our neighborhood with a great space to study, meet friends, and be inspired to create. Our priority is showcasing local, emerging artists, especially from the neighborhood and UCLA. The exhibitions hosted at Upside Down are built on relationships made through the community. Art is such an important vehicle for conversations, whether visual art, poetry, music, or film, so all of our exhibitions are curated to produce just that. We will have monthly exhibitions typically on the first Saturday. Beyond the cafe atmosphere and the arts, we seek to provide a space that meets the needs of our community: workshops, classes, and other opportunities to meet your neighbors. We know it’s hard to have meaningful relationships these days, so we’ve made this space to help facilitate real connection. Have questions? Learn more of what we’re about, send us a message, or meet our team!